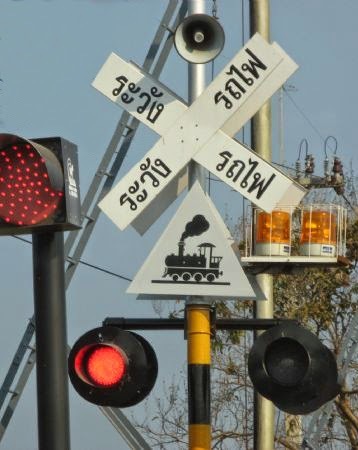 December 2, 2014 Accidents at several Thai train crossings has prompted the Ministry of Transportation and the State Railway of Thailand to mobilize resources to solve the problem. This however may take some time considering the number of crossing there are across the country. Is there anything we can do until each crossing is addressed? Are there simple and cheap solutions communities can work out that can make crossing safer today? That's what Progress Thailand is trying to find out. Some crossing lack even a proper rail crossing sign and feature only a "stop" sign. A sign could easily and cheaply be made and fixed on existing stop sign posts. Some existing signs are old and faded while others are placed ambiguously, confusing drivers especially at night. In other cases, vegetation has overgrown signage and signals and could easily be cleared in an afternoon by volunteers. We have picked a crossing in Phetchaburi province that has been the sight of at least two terrible accidents. After asking for permission to place proper signs there until the Ministry of Transportation puts a proper gate, lighting, and audio signals in place, we plan on showing others how they can do likewise in their provinces. Our proposal has already been approved and the next step is making the signs and putting them up. Any graphic design files or tool paths used in the production of signs will be shared freely online for others to use. While the Ministry of Transportation and the State Railway of Thailand have the resources and ability to fix this problem, the size of the problem means it will take time. Also, no one knows local rail crossings better than the local people themselves. They know why people do not see the crossings and with the government's help, could devise a proper way to address it. 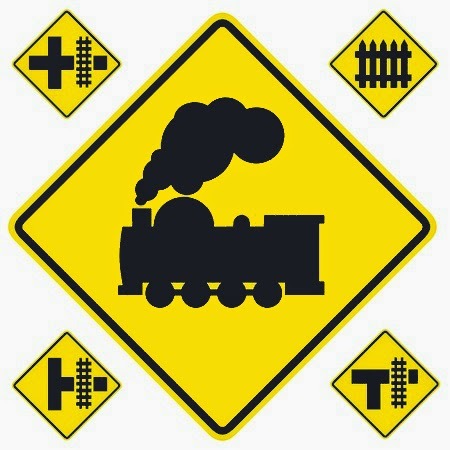 The Ministry of Transportation and State Railway of Thailand will make excellent partners for this project, if only they provide some advice and specifications regarding effective crossing signs. We look forward to their cooperation and we look forward to sharing our progress with you, the readers.